My last week in South East Asia was jam packed. I tried to fit in as many activities as possible, as I realized we hardly did a thing. To some of you, that may seem absurd. I mean, yes I did loads but in comparison to South America, Stefanie and I pretty much chilled the entire time in Asia. So, in Luang Prabang, Laos – we visited a waterfall and hiked up a hill. Yes, hiking!! It was a lousy 10 minute hike, but ridiculously steep. I realized how out of shape I am. Then, it was back to Thailand. We had only had a few short days before heading back to Canada. I was ready to say goodbye to Vietnam. We heard such amazing things about Loas and we were to keep moving forward. 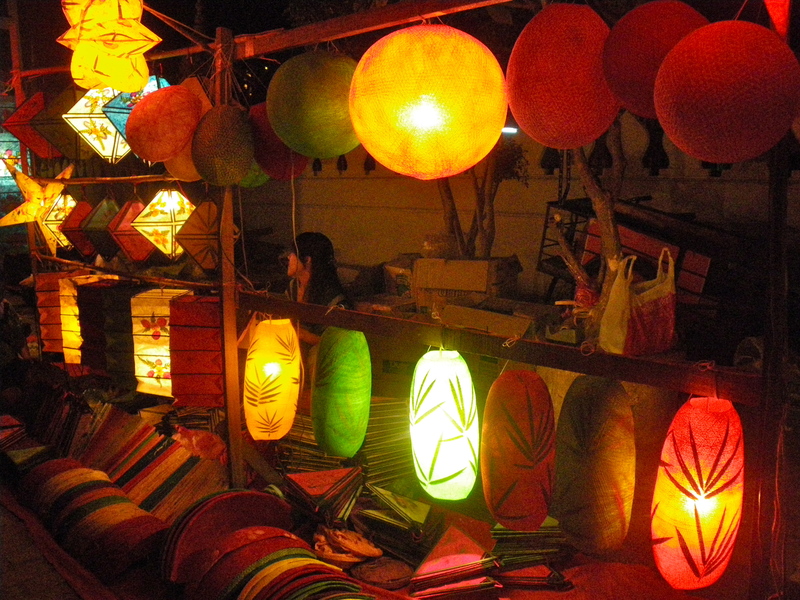 We headed straight for the capital city – Vientiane. There isn’t so much to do in Vientiane, but we did rent bicycles for the day and found this amazing herbal sauna and spa. We thought we broke in to some Monk village and were not sure if women were allowed to talk to a Monk – but thankfully, two monks approached us and lead us in the right direction. Thanks boys! I splurged. I couldn’t help myself. Just one more thing!! Ah! Custom clothing in Vietnam is a treat. Stefanie and I spent the last few days running around the old town of Hoi An going to fittings and stopping for lunch in between. It was tiring, but really fun. When will I ever have the opportunity to choose my fabric, design the style and fit ever again? Why not pick up a few items… or several. 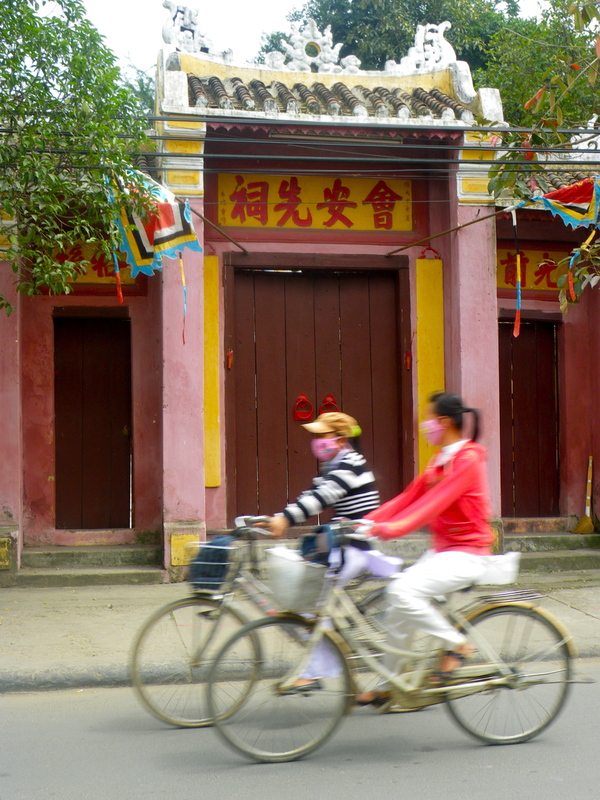 There are over 400 tailors in Hoi An – a population of 90,000 people. In other words – fierce competition and cheap prices. Settled in the homeland – for now! I thought I would write a little something after settling into my temporary home here in Toronto. It’s weird to think I’ve already been in Canada for 3 weeks now. Time flies… When I look back, I can’t even believe I was in South America. It feels like a strange dream – as if it never even happened and I’m transplanted back to my regular life. Funny how that works.